Are the holidays not complete without the famous chocolate orange? Try making them into chocolate cookies this year! Each cookie is filled with the rich taste of chocolate and a hint of orange zest in every bite. You’ll put this cookie recipe on your yearly holiday baking list! Every year we inherit those chocolate oranges from one of our neighbors. This year I thought it would be great to turn them into cookies! Who wouldn’t want a chocolate orange as a cookie? 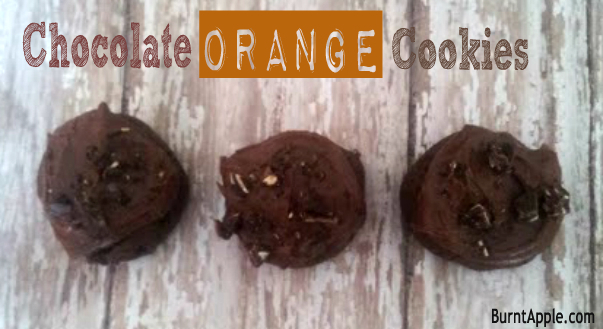 Tastes just like the chocolate oranges you love--but in cookie form! The perfect cookie for gift exchanges. In a mixer set to medium speed, cream the butter and sugars for several minutes until mixture becomes light and fluffy. Turn mixer to low and stir in the egg and vanilla, scraping the bowl if necessary. Slowly add in the flour, cocoa powder, baking powder, salt and orange zest, stirring just until smooth. Fold in the chopped chocolate. Roll dough into tablespoons sized balls and place onto a lightly greased cookie sheet. Bake at 350 degrees for 9-11 minutes. Remove from oven and allow cookies to cool on a wire rack. Frost when cookies are completely cooled. To Make The Frosting: In a mixer stir the butter, cocoa powder, powdered sugar, orange juice and orange zest until smooth and fluffy. Top cooled cookies with frosting and additional chopped orange chocolate if desired. * You can substitute coconut sugar for the sugars listed above * Chop an additional chocolate orange bar up to use as a topping on the frosting. 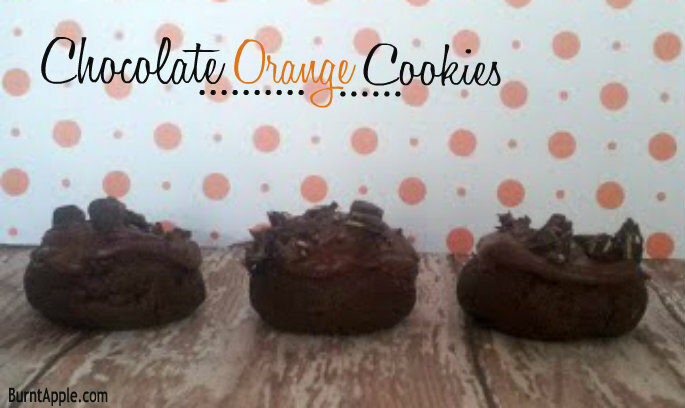 Your Chocolate Orange Cookies look delicious, I need to have these in my Cookie Jar! Thanks so much for sharing with Full Plate Thursday and enjoy your weekend!